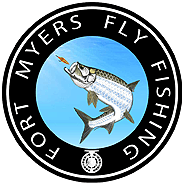 Book your Fort Myers Fly Fishing Charter Online Now. If there is less than 2 weeks before you want to book – please call us at 239-271-2950 to book your charter so we can fit you into the schedule. THIS IS IMPORTANT!! —> Make sure you complete the deposit process in PayPal. If you cancel while in PayPal your reservation won’t be valid, so please be sure to complete the entire process. Your deposit is 100% refundable until 24 hours before your charter. If you cancel your charter with less than 24 hrs notice, you will forfeit your deposit. If the weather is inclement, or some other last minute event or emergency occurs we may have to cancel your charter. In the unlikely event that this happens we will refund your deposit in full. Our Fort Myers Fly Fishing Charters are limited to a max of 2 anglers. If you think about it, having more than two people fly fishing at the same time is never a good idea. You may have a one person fly fishing and another using spinning tackle. We love to have kids on our charters (we raised 4 of our own). It has been our experience that kids under 10 just don’t have the hand-eye coordination or upper body strength to cast effectively. From personal experience we know that every child is different. So if you have a child under 10 that is capable of casting like an adult please call us so we can discuss it. You must click the Book & Pay Deposit Now button below. You will be sent to PayPal for your deposit. You DO NOT need a PayPal account.